Welcome to Glenn Arbour Academy where our program makes a difference in the lives of our students every day! At GAA, students experience rich, authentic learning programs that are designed to inspire, excite and promote a love of learning. We recognize that each student learns differently and our passionate, dedicated teachers and staff work every day to bring out the best in our students. Our program is designed to develop the whole child and as such we offer numerous opportunities for health and wellness learning through frequent physical education classes, numerous intramural sports both competitive and developmental as well as mindfulness practice. Our arts program allows students to pursue current passions as well as to discover new creative skills. We look forward to the numerous occasions where students showcase their Arts throughout the year whether at one of our concerts, our public speaking competitions or our Arts Showcases. We are also proud of our commitment to developing community minded, confident students. 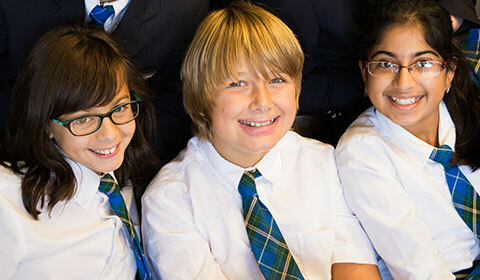 Our unique program provides students with opportunities to develop character values and leadership skills allowing them to feel confident going forward. Come and visit us and discover where we can make a difference!